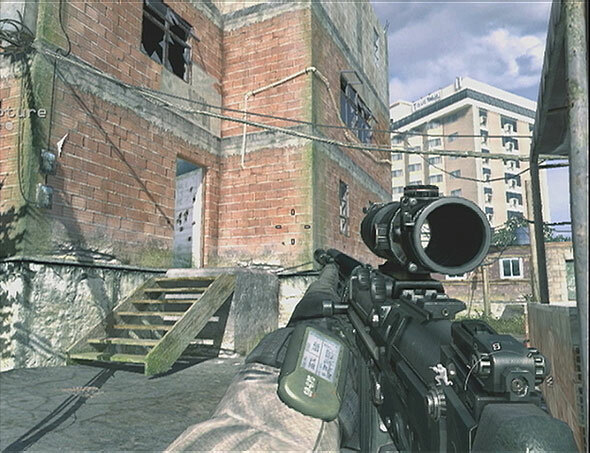 I have recently played the computer game Call of Duty: Modern Warfare 2 and Black Ops on the X Box, and I was struck by how realistic the graphics and gaming maps were. 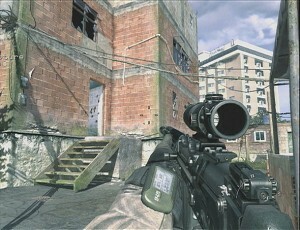 This realism extended to the structure of the buildings. It was great that the buildings were shown structurally correct. Where there were ruined concrete floors shown; the steel reinforcing bars were shown sticking out, steel structures which were supporting 0il tanks had stabilising steel cross bracing shown, large rooms had trusses holding up the long span roofs and blockwork walls had stiffening piers. For me it definitely added to the enjoyment and realism of the experience. This is in contrast to Hollywood which continues to make films that show things happening that couldn’t occur in real life. I was reminded of this when watching the film Avatar recently. An otherwise excellent film, showed mountains floating in mid air which the lead actor climbs over. While I realise this is a science fiction film set on a fictional planet far into the future, surely ignoring the basic universal laws of gravity is a step too far and not very scientific. Films and games are about escapism and immersing yourself in the story and I think game makers seem to have realised that if viewers/ gamers are questioning what they are seeing it takes from the experience. It is obvious that a lot of work has gone into making these games and the software engineers should be commended for spending the extra time and resources to make the buildings as accurate as possible. 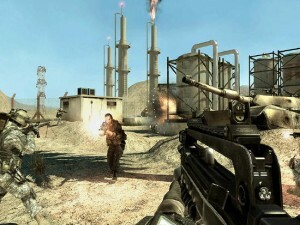 There are some screen shots below from the games Call of Duty, Modern Warfare Two and Black Ops, and the floating mountains from the film Avatar. 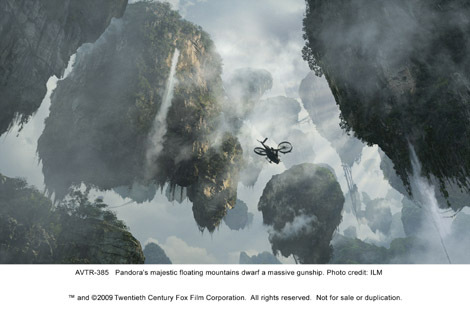 Scene from Avatar and its floating mountains???? Movie explosions! How bad they are! Check out the debris next time: maybe a dozen large pieces of timber, all the same size, fly through the air in unrealistic trajectories (instead of a very large number of pieces of random sizes which move controlled by blast and gravity). Or maybe a complete, undamaged car somersaults through the air and lands a just few feet from the hero who has no blast effects whatsoever, he does not even get his hair mussed. Maybe the movie-makers can’t afford real explosions of large real-sized sets. But in the days before crappy computer-generated effects, at least a realistic model was used. Most action movies these days do not rate more than B-grade status. But the bar has been lowered so much that even C-grade movies are often considered as box-office successes. That’s why we stay away from today’s movies in droves. You don’t believe me, get out some action movies from the 70s and 80s and compare those to today’s shoddy rubbish for yourself. Very true, its a wonder where the millions spent on these films actually goes. Its not spent on effects or a script anyway.